We are so excited to be one of the few clothing stores that offer modest clothing for women! We have always loved clothing and being fashion forward but it is sooo hard to find trendy clothes that are also modest! When we say modest we do not mean boring and plain. That is why we are so unique in our brand! We want to change the way people view modesty! We believe that women can be modest while looking beautiful and fashion forward! Women want to feel comfortable but still feel fabulous and we offer more options for those women! We are always on the hunt for amazing clothing items that are different than other boutiques. We also want everyone to afford high quality modest clothing so we try and keep our prices as low as we can and hope to make you feel amazing and elegant in our garments. We are 3 Muslim sisters living in separate locations, namely Paris, London and Istanbul and we funded Gibril & Gabrielle in 2009 because we have always had a dream of helping women find modest clothes. Gibril is the Arabic version of Gabrielle, the Archangel who is the messengers between God and His Prophets, demonstrating that the monotheist Abrahamic religions (Judaism, Christianity, and Islam) are of one source, which is The Almighty God. We wanted to emphasise on the Oneness of this divine source through our brand. The idea mainly came from seeing the struggle so many women have had shopping for fashionable clothing that is also modest. Luckily we have amazing husbands who support our dream of running a modest clothing shop and have helped our dream become a reality! We believe that dressing modestly only enhances who you truly are and allows you to be viewed as your best self. We feel more confident when we are comfortable and covered in all the right places. Dressing modestly shows the respect you have for you body and encourages others to feel that way about you as well. You are all beautiful creatures of The Almighty and we only want to enhance that beauty by offering more modest options for your wardrobe. 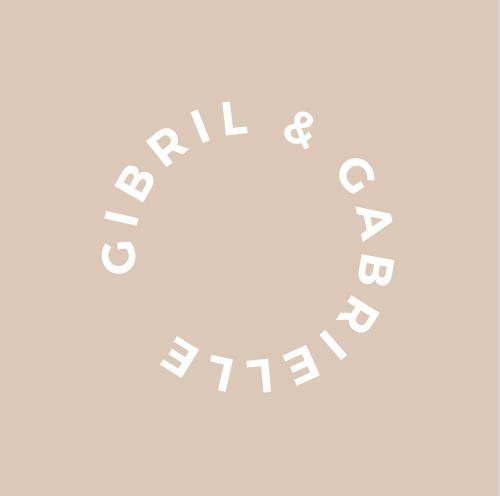 We hope you have the best experience shopping with Gibril & Gabrielle!